Ever used your smartphone while crossing the road? Well, you’re not alone, according to a major new study from DEKRA Accident Research. The German company monitored almost 14,000 pedestrians in six cities in Europe – Amsterdam, Berlin, Brussels, Paris, Rome and Stockholm – and documented their smartphone use in the vicinity of traffic. 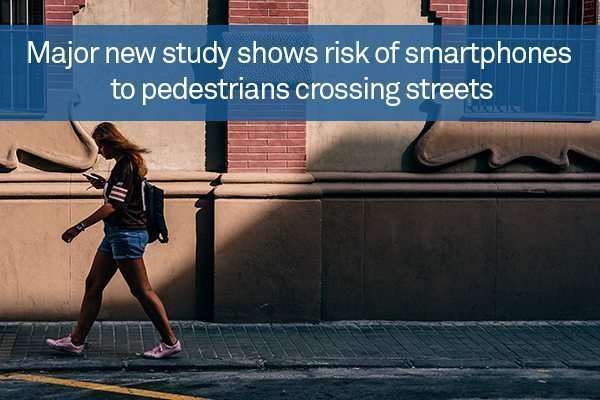 It found that almost one in five (17 per cent) of the sample were guilty of looking at their handsets while crossing the street, increasing the risk of distraction and a subsequent pedestrian-vehicle collision. Moreover, just under one in ten people (eight per cent) were documented texting at the same time, and 2.6 per cent were seen making calls. Around five per cent of pedestrians walked into the road wearing headphones and presumably listening to music. Surprisingly, though, the survey showed that not all Europeans have the same attitude to using their smartphones in road traffic. In Amsterdam, just 8.2 cent of pedestrians indulged in the behaviour, whereas on the other end of the scale – in Stockholm – the figure was 23.6 per cent. Commenting on the findings, DEKRA Management Board member Clemens Klinke said: “Our survey teams reported some extreme individual instances of distraction. One thing that was observed repeatedly was groups of young people looking at a smartphone together while crossing the street. According to data from the German Federal Statistical Office, around one in ten fatalities on German roads is the result of inappropriate pedestrian behaviour. In his closing comments, Klinke urged pedestrians not to underestimate what might happen if they find themselves distracted by a smartphone while crossing the street.